Is Greece about to recognize Palestine? RAMALLAH (Ma’an) — Syriza, the ruling party in the Greek parliament, told Palestinian lawmakers Saturday that the government was set to officially recognize the state of Palestine, according to a statement by the Palestinian Legislative Council (PLC). A Greek delegation from the Syriza party reportedly met with political parties of the PLC and confirmed that the government would recognize the state of Palestine “soon,” according to the statement. However, an exact timetable for the future recognition was not provided by the Greek delegates. 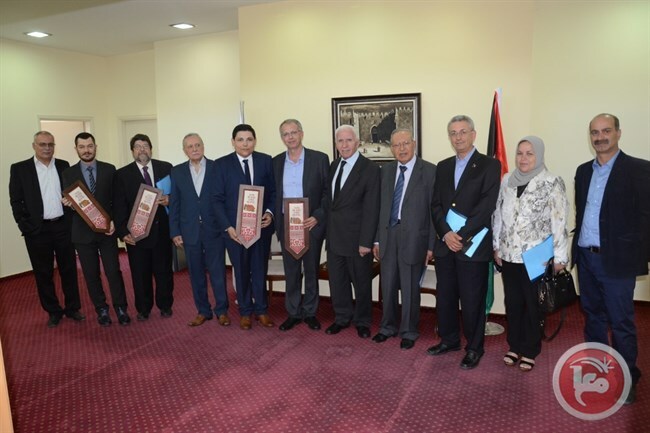 The Syriza delegates met with Azzam al-Ahmad of the Fatah movement, Qays Abdul Karim of the Democratic Front for the Liberation of Palestine, Mustafa Barghouti of the Palestinian National Initiative, Bassam al-Salihi of the Palestinian People’s Party, and the Fatah-affiliated lawmakers Najat al-Astal, Muhib Awwad, and Abdullah Abdullah. The Greek parliament voted in favor of a decision to recommend the government recognize the state of Palestine in December. However, the decision has not yet come to fruition. “Due to some special circumstances, the Greek recognition of the Palestinian state has been delayed, but it will come soon,” the Greek delegates stated. If implemented, Greece would become the second European country to officially recognize the Palestinian state, following Sweden’s decision in 2014.